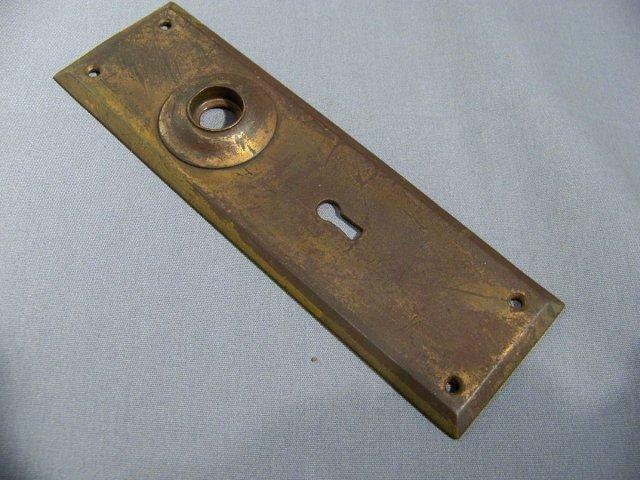 Price Is For This Old, Solid Cast Brass, Doorplate, With More Of A Duller, "Splotched", Brass Tone, Than That Seen In Photo; [photo flash makes the plate mistakenly look more golden or brass]. Plate Has Much Old Tarnish And Has A Decent Amount Of Old, Scratches And Wear, That Are Really Not Seen That Much When Mounted On Door, Because Of Darker Tones. Appx. 7 15/16" X 2 3/8" Wide. 1 Plate Is Available. This Is A Neat, Old Piece. Purchaser Pays Shipping.